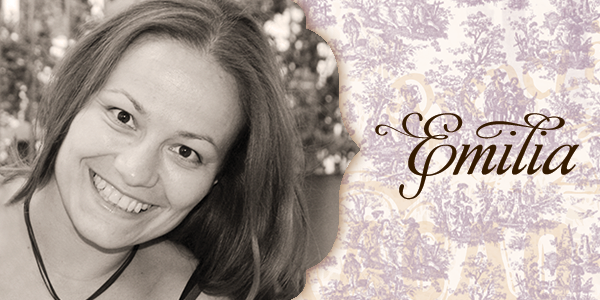 Emmy here today with my second project for this month. 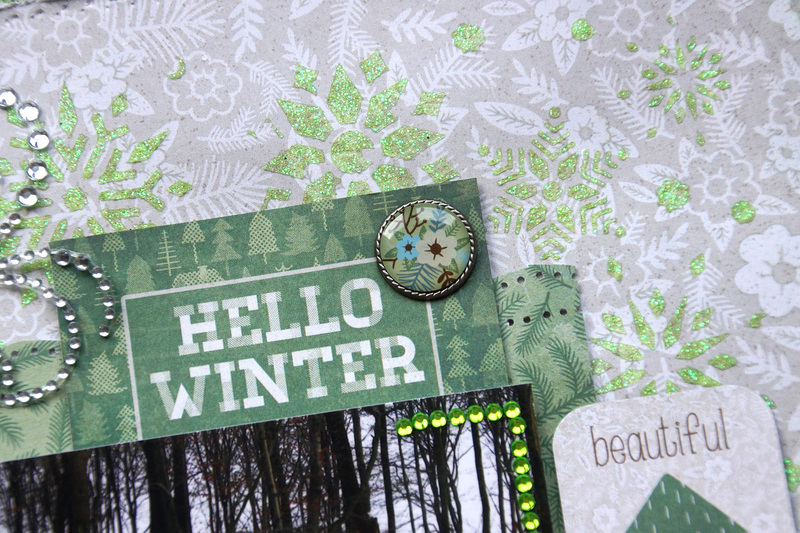 This month I have the pleasure to design with the amazing Winter Getaway collection from BoBunny's latest release. 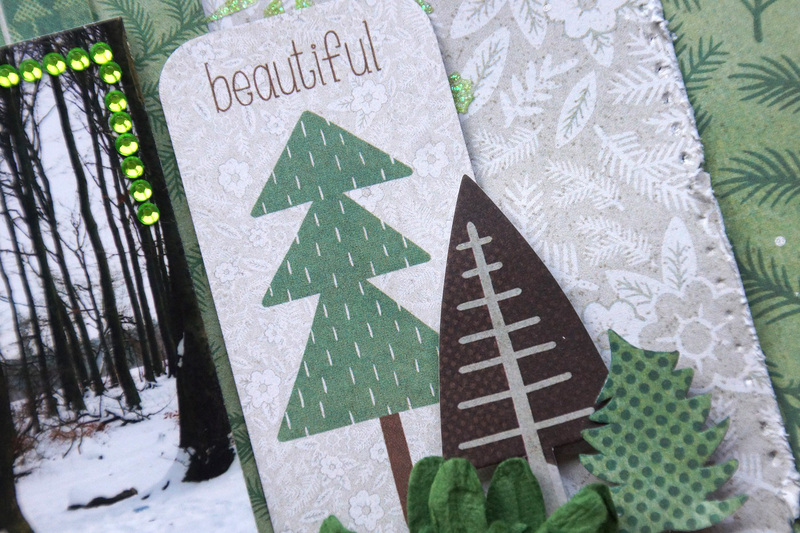 This collection is playful and fun and it is perfect for all types of winter projects. 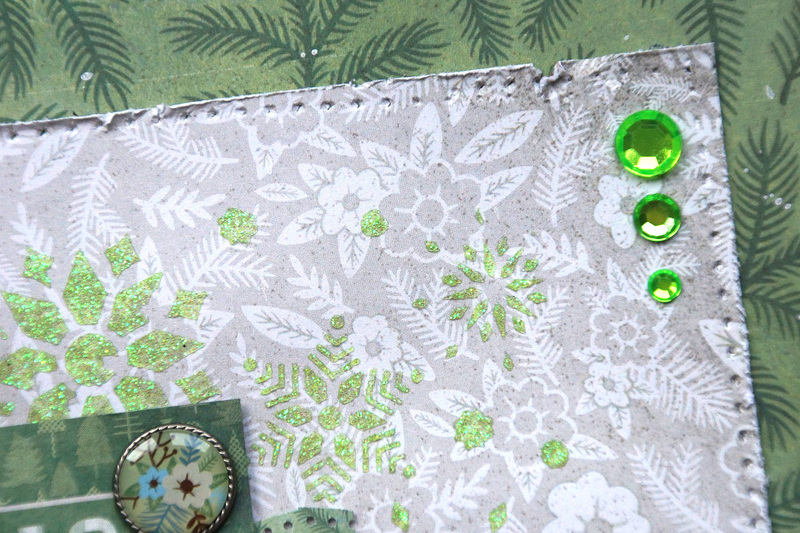 To create my background I used two different pattern papers. I cut off 1.5 cm from each side of the grayish paper, distressed its edges using paper distresser and adhered it on top of the greenish paper. 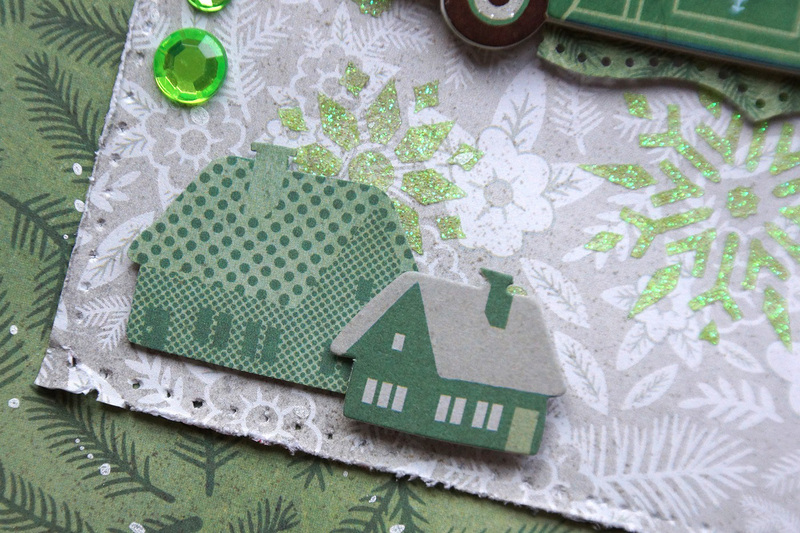 Then, using a stickable stencil and glitter paste, I created the green dimensional layer on top. Once the glitter paste has dried, I sprinkled white mist on top. I layered my picture on a pattern paper from the paper pad and used different fussy cut and pre cut images to embellish it. 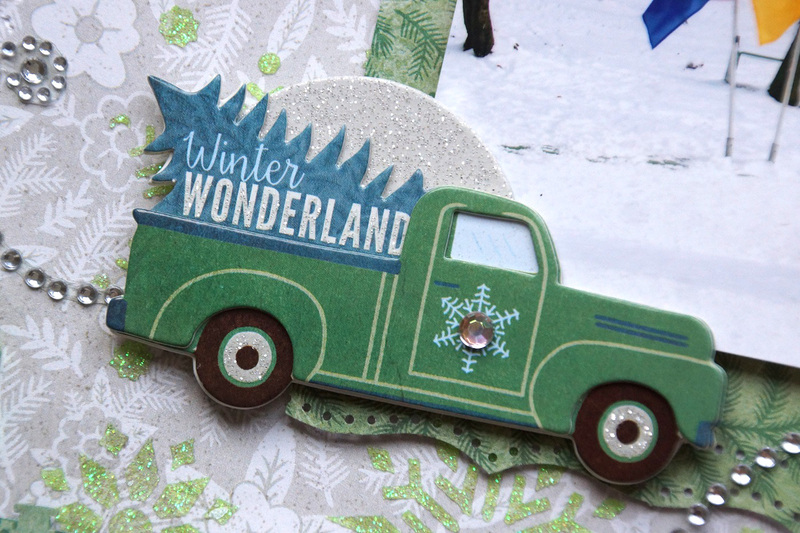 I also used some of the lovely layered chipboard embellishments, matching the collection. 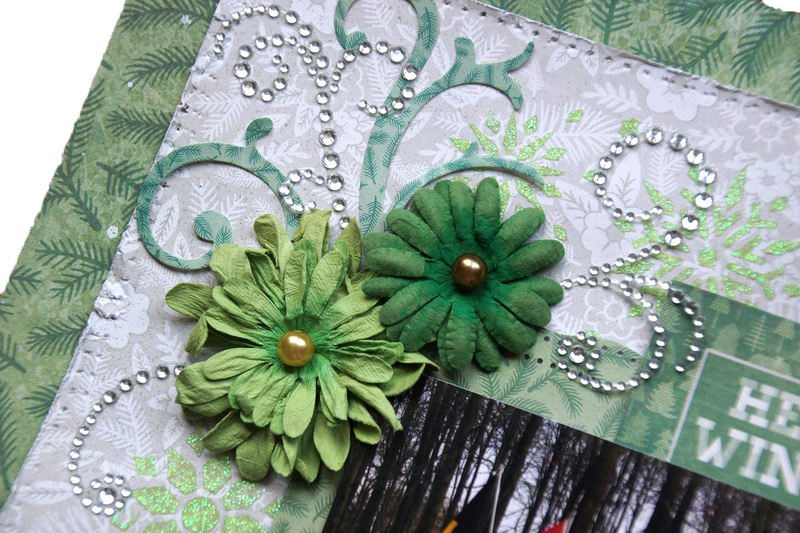 I added green blossoms, snowflake stickers, die cut swirls and rhinestone swirls to my page as well. To finish off my design I added rhinestones and sparkling brads. Amazing layout! 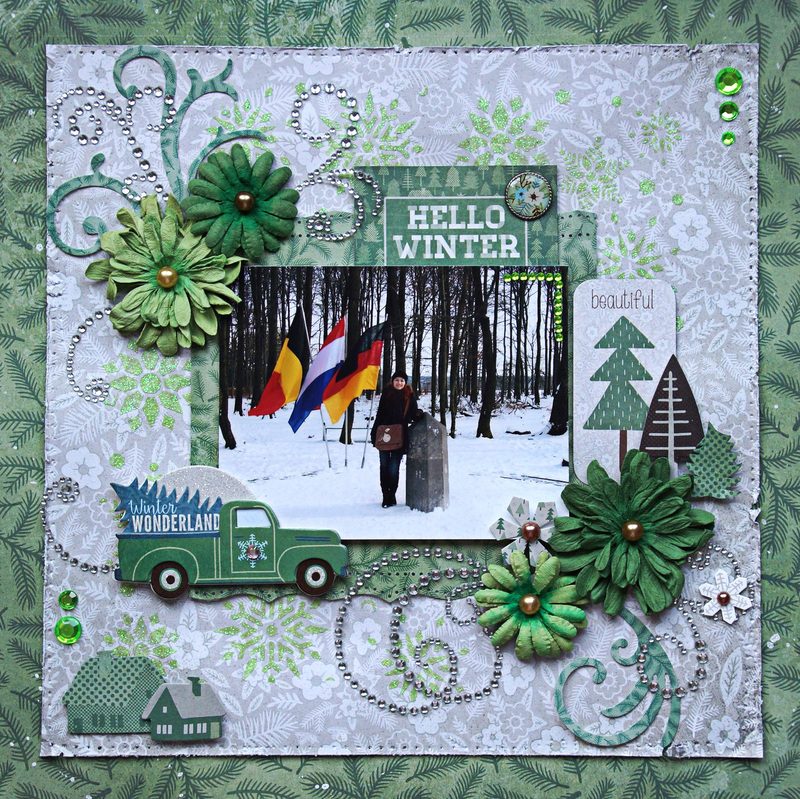 Green in the winter! What a fun way to fix any winter blahs! Lovely! 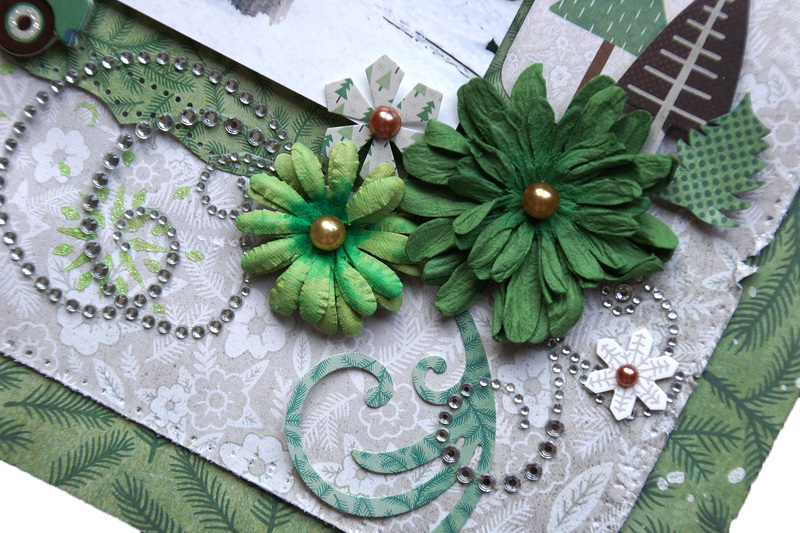 Love all the shades of green! I especially like your use of glitter paste - I've never tried that, but I just might have to get some!